Paryushan is for reflecting on one’s past deeds and to abstain oneself from sensory pleasures that restrict the true nature and purity of the soul. Today, on the first day of Parvadhiraj Paryushan Parva, let’s learn about Gnanavaraniya Karma and first three gathas of Bhaktamar. Karmas are of innumerable types. 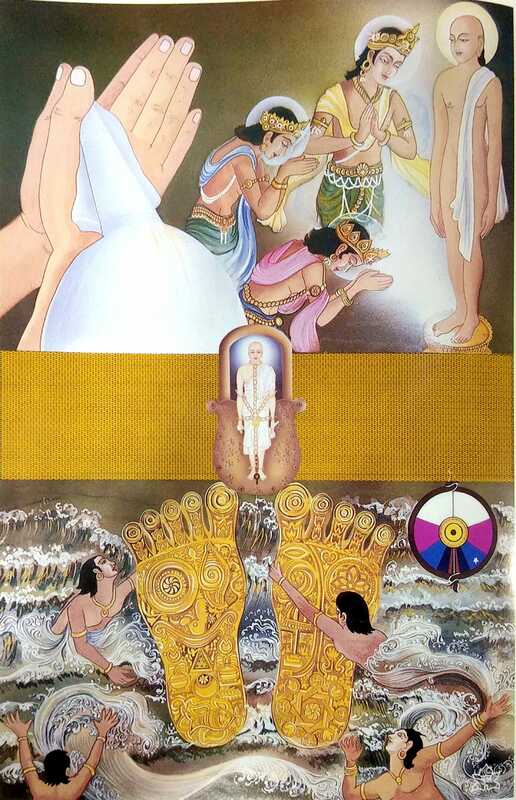 Lord Umaswati, in Tattwarthasutra, mentions 97 types in all. Some others specify 148 types. All of them can, however, be broadly classified into 8 categories as detailed below. Of these the first four are called Ghatiya or of defiling types in the sense that they tend to define the real nature of the soul; they do not allow its true properties to be manifested. The remaining four are called Aghatiya or of undefiling types. Though the soul has to bear their consequences, the operation of these Karmas does not come in the way of manifestation of its true properties. Soul has an infinite capacity of knowing anything and everything. We, however, do not realize this capacity because the knowing property of the soul is obscured by the operation of this Karma. It does not actually reduce its inherent capacity of knowing, but its operation remains restricted as the impact of sunlight gets limited when the sky is clouded. Similarly, the operation of this Karma hampers the manifestation of the soul’s knowability. This type of Karma is acquired mainly by disregard of preceptors and of the sources of knowledge. Matignan, Shrutgnan, Avadhignan, Manahparyaygnan, and Kewalgnan are the five divisions of Gnana. Therefore this obscuring Karma is also subdivided into those respective five subdivisions. Due to Gnanavaran karma, knowledge cannot come forth. It is preventing the Knowledge from being revealed. There is complete knowledge, however due to the veil (curtain in the form of an obstruction), the knowledge does not manifest. If there are four gourds lying around, then how would you know which one is bitter and which one is sweet? The most common way is by tasting them. By tasting means it is considered to be knowledge mediated through the sense organs (indriya gnan). When one is unable to obtain the knowledge of something directly through the intellect, it is referred to as gnanavaran (veil over the knowledge). If this gnanavaran were to clear away, you will definitely know everything without even tasting! Oh, how every single parmanu (smallest particle of matter) of the universe reveals itself in the light of knowledge! Oh! The mankind and all creatures are helplessly sinking into the ocean of worldly attachments…! Who can be the savior, and save them from sinking? We are all engrossed in the darkness of sins and ignorance. What can absolve them; within no time? While the deities with their gem-clad crowns on their heads offer their prayers and bow down, the bright and dazzling rays of gems spread all over. what can brighten even such rays? There is only one answer: Jina-Pada-Yuga: The loctus-like feet of Bhagawan Adinatha. Shree Manatunga Soorishwarjee’s heart is in great decisive delight. 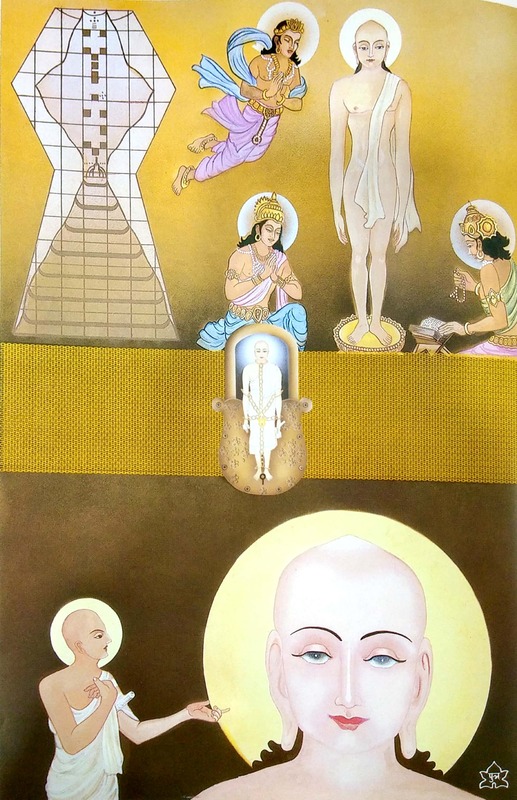 He says,” I will positively compose a Stavan on Lord Adidev, the first Jain Tirthankara, who existed in the beginning of this age”. There is a definite reason behind his decision. The leaders pave the way to be followed by common man. 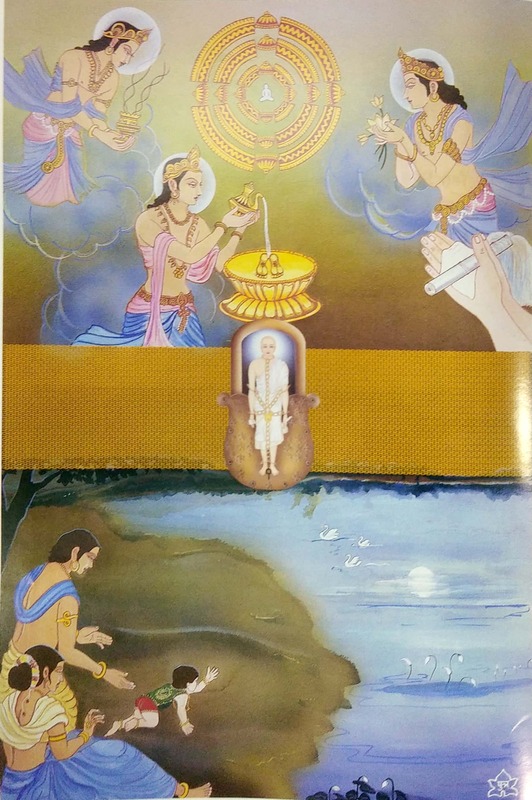 Lord Rishabhadeva is worshipped by the Indras. These Indras have mastered the secrets of all the shashtrs. They are highly intelligent. They have worshipped him with their generous and spell binding Stotras. Therefore, Manatunga Soorishwarjee Maharaj, with his highest perseverance, energy and confidence decides to pray Bhagwan Adideva through this extra-ordinary verse-the Bhaktamara Stotra. Oh Lord! 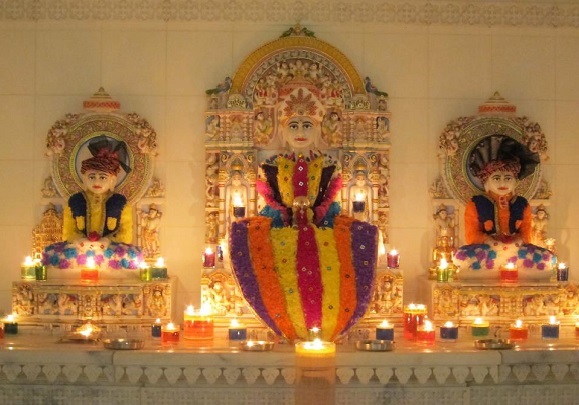 The devas have bowed down and rubbed their heads in your pious feet and Padapeeth, in adoration. Oh Lord! You are great. Lord, allow me to worship You. Please shower Your blessing on me. You know that I have no wisdom: But in spite of that. I have decided to compose a verse of prayer on you. I have a burning desire to feel you in my physique and mind; and rightly so, I have no reservations at all. Lord! I am your child. I am innocent. A lovely full moon in the sky is reflected in the lake. How cute does it seem! when a child craves for it and even dare to grab the moon up from the lake! Many adults people may not do so. However, I am Your kid: and so not ashamed to pray you.